At the dental practice of Dr. Steven M. Balloch, we offer a wide range of treatments to help patients who suffer from severe dental complications, including full-mouth reconstruction and restoration of dental implants, implant fixed bridges and implant fixed dentures. Dr. Balloch started restoring implants in 1985 and has broad knowledge and experience using implants to rebuild his patients’ mouths. At our Hartford, Connecticut dental practice, we can help if you have missing teeth or have experienced loss of teeth from an accident. We have an unwavering dedication to our patients and uphold the highest standard of care; if you are looking to restore your dental health, you can rest assured that our team of dental professionals has the knowledge and experience to meet your needs. To schedule a consultation with Dr. Balloch on dental implants, please contact our Hartford, Connecticut cosmetic dentistry practice today. Dr. Steven Balloch and his team can replace a single missing tooth, multiple teeth, or completely rebuild the mouth with dental implants. Their experienced practice offers pre-procedures, such as bone grafting, and even teeth in a day. A dental implant is a titanium post that is secured into an edentulous area (location of a missing tooth) of the jawbone. The titanium post serves as a dental root and supports dental prosthetics such as porcelain crowns, in effect acting as a new tooth. Dr. Balloch is fortunate to have incredibly talented implantologists available to place all types of implants for his patients. Together Dr. Balloch and the implantologist work as a team to plan for the precise placement and restoration of the implant(s). They can also coordinate bone grafting if you have suffered significant jaw recession that might compromise your candidacy for implants. Dental implants can be a tremendous tool for restoring the health, function, and appearance of a person’s smile. Because the dental implant is made from titanium and is placed into the bone of the jaw, it can last for decades with proper maintenance, providing long-term benefits partially because implants do not decay. An additional benefit of dental implants is that surrounding teeth do not have to be modified or treated in any way, as the implant is designed to work in a standalone fashion. 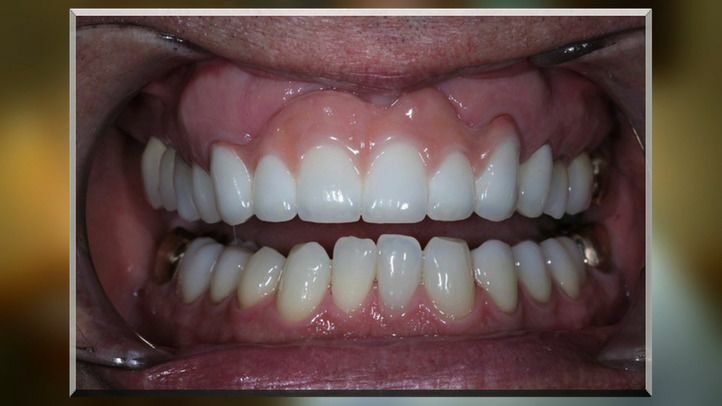 Natural looking and durable, dental implants are a great option for individuals who have missing or damaged teeth, and we are proud to offer them to our patients. The cost of dental implants will vary depending on the extent treatment, the condition of the patient’s health, and the amount of preparation that is required to place the dental implant. It is also important to note that many dental insurance providers will not cover the cost of dental implants; for this reason, we are happy to offer payment plans on approved credit to make the cost of treatment more affordable for our patients. As it is impossible to provide an accurate quote for dental treatment without first consulting with the patient, we recommend you contact us to schedule a consultation. Your choice of an implant dentist is very important, and we can provide the advanced care you need. If you would like to schedule a consultation to discuss dental implants with Dr. Balloch, please contact our Hartford cosmetic dentistry practice today. We would be pleased to work with you and welcome you to email us or contact us directly at (860)266-4409. I am forever grateful to you for restoring my mouth, making it completely functional and pain free. Your exceptional skills gave me the functionality and the most beautiful smile. My smile is more beautiful than ever.